My Home and Garden: Do spiders creep you out? I thought this was pretty cool. Do spiders creep you out? I thought this was pretty cool. 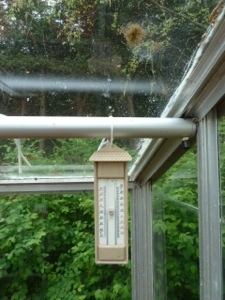 Working in the greenhouse today. Relocating my min/max thermometer I spotted a fuzzy blob off to the side. I scooted up closer and saw this. How cool is that? 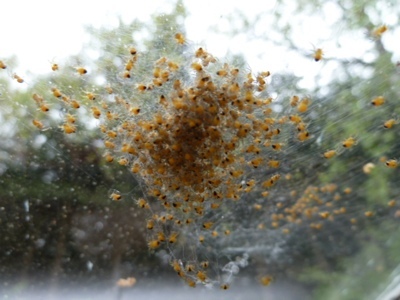 Fuzzy little blob is actually spider babies.